Construction counsel to lender on multibillion-dollar casino project. Providing counsel to lender on myriad of construction issues. Litigation counsel to developer of one of largest malls in the Northeast. Currently serving as construction counsel in mediation of multimillion-dollar dispute with contractor. Litigation counsel to lender who took over construction of $150 million ski resort. Currently serving as counsel in negotiation/potential litigation of substantial dispute with general contractor. Construction counsel for non-for-profit developer of first proton therapy treatment center in Chicago area. Drafted and negotiated contracts with architect and construction manager. Construction counsel for development of casino in Biloxi, Mississippi. Negotiated design and construction contracts. Represented a nonprofit development company in the development of continuing care retirement communities and other facilities in the northeast U.S.
Lead trial counsel in three week trial in “rocket docket” in federal court in Richmond, Virginia, representing an EPC contractor against electrical consortium in design and construction of an electrical power plant. Lead trial counsel in representation of owner of $100 million pharmaceutical plant in New Jersey. Case involved multiple lawsuits in New Jersey state courts, followed by a successful mediation in which we were able to settle with the EPC contractor and approximately a dozen subcontractors with the assistance of numerous expert witnesses. Lead trial counsel in 38-hearing day arbitration for general contractor in dispute with demolition subcontractor. Part of a team that was successful in a case before the Supreme Court of Pennsylvania that upheld the law permitting public schools to obtain waivers from Pennsylvania law requiring multi-prime contracts. Representing a construction manager against owner of condominium tower development. Mediated the multimillion-dollar matter to resolution. Represented a Philadelphia hospital in negotiation of $45 million construction contract. Richard H. Lowe concentrates his practice in construction and commercial litigation and construction law. He handles complex construction litigation, arbitration and mediation matters for owners, contractors, design-builders, design professionals, sureties, subcontractors and suppliers, and has drafted and negotiated construction contracts exceeding $100 million. Mr. Lowe is a Fellow of the American College of Construction Lawyers and a Fellow of the Litigation Counsel of America. 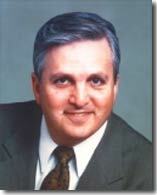 Mr. Lowe has been extremely active in the Associated General Contractors of America (“AGC”). As chair of the AGC’s BIM Forum’s Legal Subforum, he led a national effort to create a BIM Addendum, the first contract form in the world specifically applicable to projects using Building Information Modeling. Also, he served as the vice-chair of the AGC’s Contract Documents Committee, a leader in the promulgation of the ConsensusDOCS family of documents that now rivals the AIA form documents. Long active in the American Bar Association, Mr. Lowe has served as co-chair of the ABA’s Construction Litigation Committee, the second largest committee in the ABA Section of Litigation. He also has served as a member of the Steering Committee for Division 3 (Design) of the ABA Forum on the Construction Industry. He was a co-chair of the ABA Construction Forum’s Fall 2008 Program on the ConsensusDOCS, held in Chicago on September 11 and 12, 2008. Further, he was an editor of “The Construction Contracts Book: How to Find Common Ground in Negotiating Design and Construction Contract Clauses,” 2004, an ABA book stemming from a paper he wrote. In addition, he is a member of the Society of Construction Law, the largest group of construction lawyers in the United Kingdom. He has lectured and written on a variety of construction law topics, both across the United States and in Great Britain. Mr. Lowe has repeatedly been named as a “Super Lawyer” in construction in Philadelphia. Mr. Lowe also serves as an arbitrator for the American Arbitration Association. Admitted to practice in Pennsylvania and New York, Mr. Lowe is a 1982 graduate of New York University School of Law, where he graduated with honors, and a graduate of Yale University. He is Mayor of the Borough of Swarthmore (2010-2014) and has served as Borough Solicitor for Swarthmore as well.